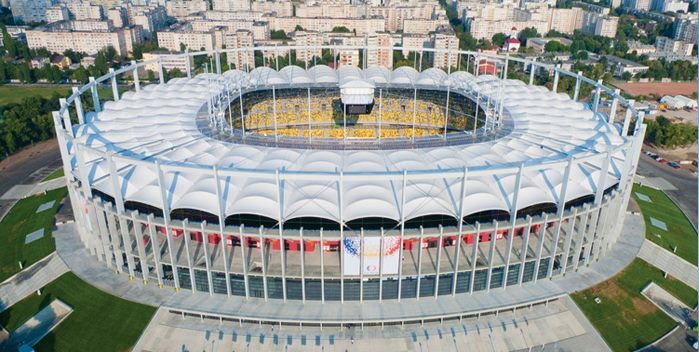 The portfolio of medium voltage equipment includes switchgear for primary and secondary distribution, compact transformation substations and connection points, products of a high degree of complexity and high added value. 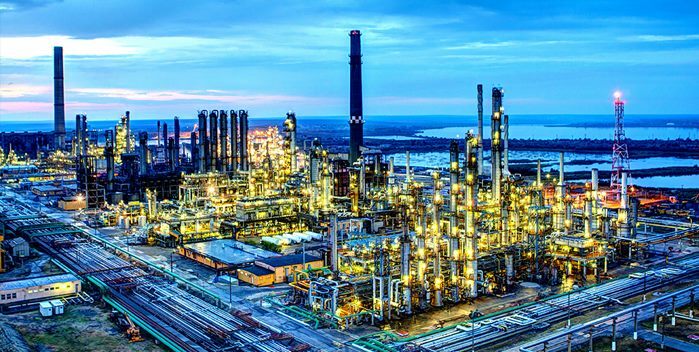 The high functionality of equipment and the safety degree in operation have made out medium voltage products to be a constant presence on the preferences of top clients from the specialized market. 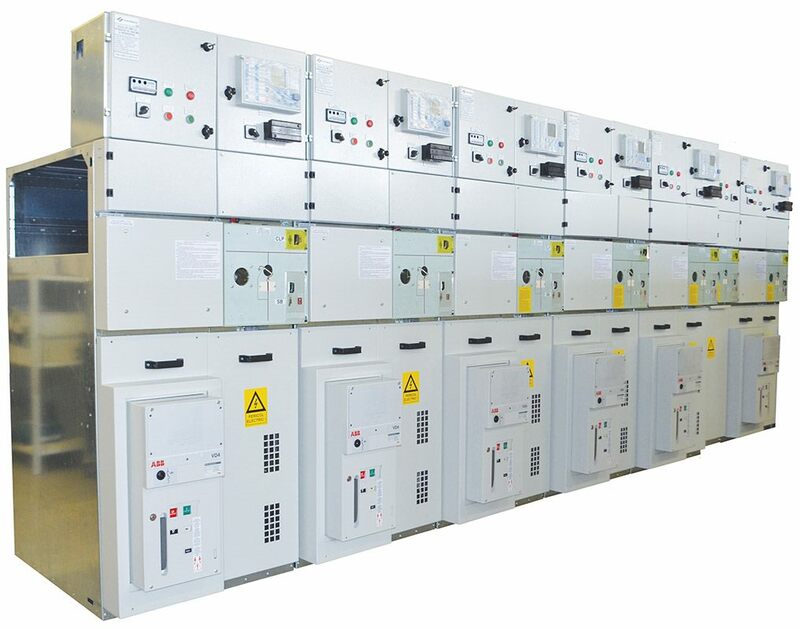 The metal enclosed, indoor type, medium voltage switchgear with single and duble busbar system, air-insulated, are modulated assemblies of electrical equipment, for AC, used in medium voltage networks and currently account for the best solution in the primary and secondary distribution. 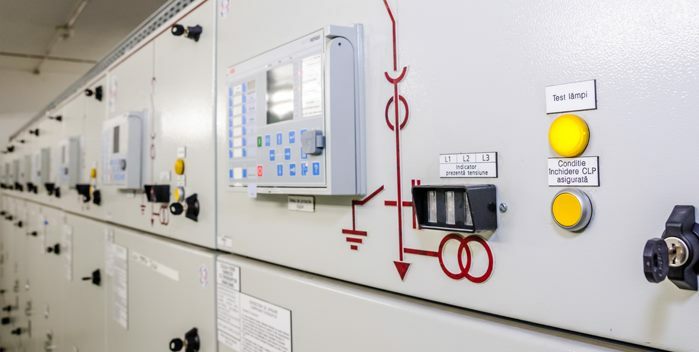 This switchgear type is widely used in the Energy sector for power generation, in distribution networks, substations, for connection and supply, as well as for secondary distribution MV/ LV substations and industrial networks. The switchgear can be fitted with equipment from our strategic suppliers SIEMENS, SCHNEIDER ELECTRIC, ABB or according to client specifications. The Electroalfa electric switchgear are designed and tested in accordance with European standard EN 62271-200. The compact transformer substations provide connections between industrial or residential consumers and the medium voltage network. Electroalfa produces prefab transformation stations of the MT/JT type Alfa Power, in a varied range of types and sizes, in standard production, but also derived products, adapted to the required application.To meet the market’s demands we design compact transformer prefabricated substations with concrete or metal enclosures with standard ranges from 160kVA to 1600 kVA (upon request, up to 2500KVA) with indoor or outdoor access. The MV/ LV transformer substations are used in power distribution networks whether public/ industrial or rural/ urban, as well as on construction sites, in mining, irrigation or agriculture. Certified quality (Alfa Power compact transformation stations are manufactured according to the European Standard SR EN 62271-202 and have been tested in the ICMET labs, with fully compliant results for complete tests). To simplify the on site activity, Electroalfa has created compact, monobloc transformation stations, fully equipped, up to powers of 630KVA. 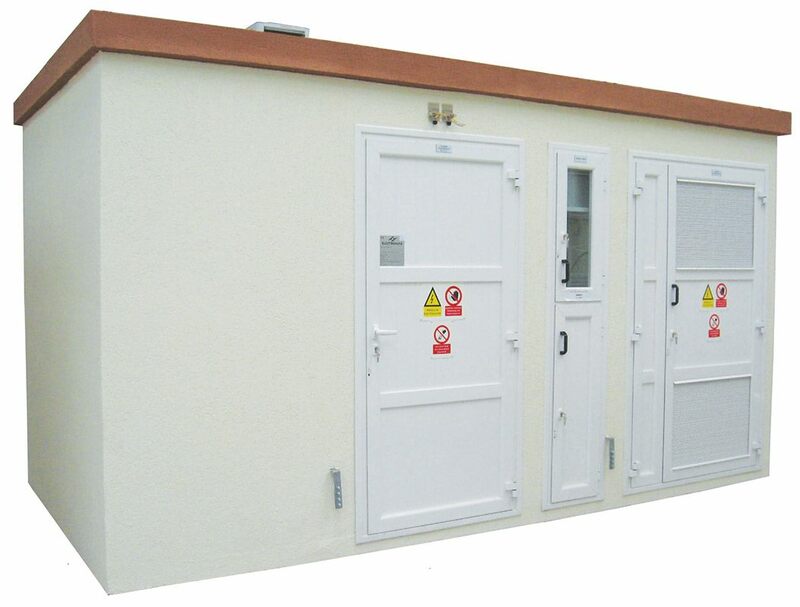 For larger powers, due to reasons of mass and size, taking into account the usual lifting and transportation possibilities, the products are made of fully equipped cabinet and support, which are assembled directly on site. The Alpha Power transformer substations are compliant with the technical standards of nationwide power distribution companies such as CEZ Group, E.ON Group, Electrica Group, Enel Group (area distribution operators). CThe Electroalfa primary distribution switchgear are designed for 7,2 and 24 kV rated voltages and rated currents up to 4000 A. Compliant with the technical standards of nationwide power generation, transport and distribution companies such as Transelectrica (the national transmission operator), CEZ Group, E.ON Group, Electrica Group (area distribution operators). CThe Electroalfa switchgear for primary distribution, of the S 12xx range, for a maximum voltage of 12KV c.a., have been tested for values of the continuous rated current of up to 5,000A and values of the rated peak withstand current of 50 KA/ 1s. This type of gear withstands the action of the internal electric arc, with a classification index of up to IAC AFLR 50KA, 1s. 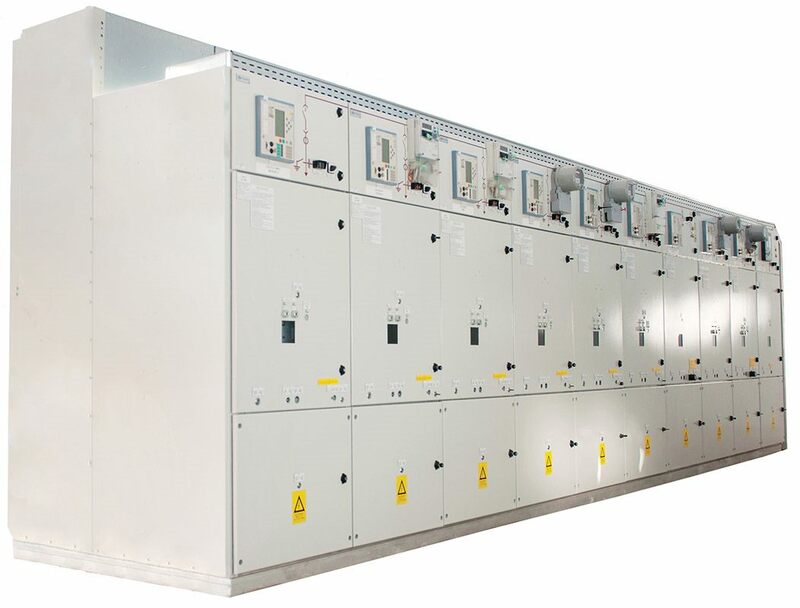 The switchgear from the range of S 24xx, for a voltage of 24 KV c.a. have been tested for values of the continuous rated current of up to 2.500A and values of the rated peak withstand current of 25 KA/ 1s. This type of gear withstands the action of the internal electric arc, with a classification index of up to IAC AFLR 25KA/ 1s. The switchgear ensures the continuity of service, according to the standard classification LSC2B. From the point of view of the separation of compartments, the classification of these switchgears is PM. The switchgear for primary distribution is made up of a metallic cabinet made up of sheet panels assembled with special rivets, fittings or electric point welding, which includes the equipment of low voltage required for the exploitation specifications, including the withdrawable circuit-breaker and the measure, command, protection and signaling low voltage equipment. The withdrawable circuit-breaker has three functional positions: in operation, test and withdrawn. It can go from one to another position smoothly and shock-free, on the circuit path. Beside the classical variant, when this trip is made by manual command, Electroalfa ensures the possibility of automated command of the withdrawable circuit breaker for the new range of switchgear of 24KV, 1250A, 25KA, launched in 2016. The same facility is provided for the manual or automatic control of grounding blades. This option can be opted for when ordering the switchgear or after commissioning. Based on the experienced accumulated in the field, the concept and design of the withdrawable medium voltage switchgear allows mounting in the type of cabinet created by Electroalfa of a large range of circuit breakers, from various producers, with minimal adaptation, depending on their constructive particularities. Until now, in the Electroalfa switchgear we integrated products made by Siemens, ABB, Schneider Electric and Eaton. Due to the competence of the engineering team of the company, there is a possibility to quickly integrate other types of circuit breakers in the switchgear. The medium voltage switchgear with double bar system is designed for the primary distribution on the medium voltage part of transformation stations from the power distribution systems and combines the new technologies with the existing infrastructure. The medium voltage switchgear with double bar system is an indoor electrical equipment, in metallic compartments cabinet, with insulation in the air, being formed of a vacuum breaker and air bar separator. Secondary distribution switchgear is being used on the medium voltage side of MV/LV transformer substations (compact transformer substations with concrete or metallic enclosures, purposefully built transformer substations, junction points), for the supply of public buildings (hospitals, office buildings, residential areas, stadiums, airports, supermarkets) and industrial units (refineries, cement factories, shipyards), photovoltaic and wind power stations. Electroalfa produces switchgear for secondary distribution of the S2490_xx type. This is indoor gear, in metallic cabinet, with a simple bar system, extensible and generally used in medium voltage secondary distribution systems of up to 24KV, rated current in continuous operation of maximum 630A and rated short-time withstand current of maximum 20KA/ 1s. This type of switchgear resists to the action of the internal electric arc, with a classification index of IAC AFLR 20KA/ 1s. The switchgear ensures the continuity of the service according to the standard classification LSC2B. From the point of view of compartments, the classification of this gear is PI. The equipment are made in compliance with the European Standard SR EN 62271-200 and have been tested in the ICMET labs, with fully compliant results for this type of full tests. The switchgear from the range of P2490_xx show the following advantages easy installation, safe and simple use, safety of the operating personnel, compact, extensible, certified quality, SCADA integrated, optimum price – quality ratio. We ensure consulting for the clients to choose the best technical solutions for each particular application. 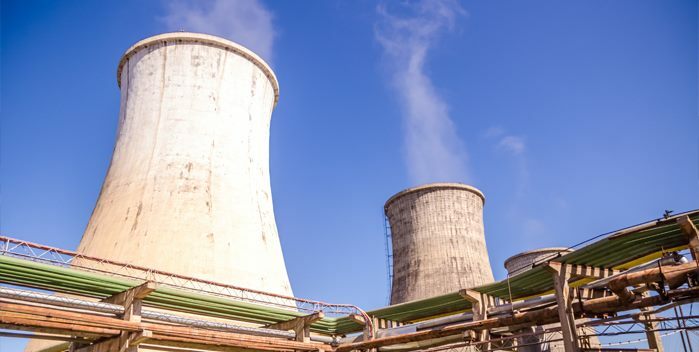 Apart from the delivery of the switchgear, Electroalfa can deliver services of: mounting, testing, set up of parameters, commissioning and technical assistance. Furthermore, we offer training services for the operating and maintenance personnel of the client. Electroalfa can provide maintenance services for the entire lifetime of the delivered products. 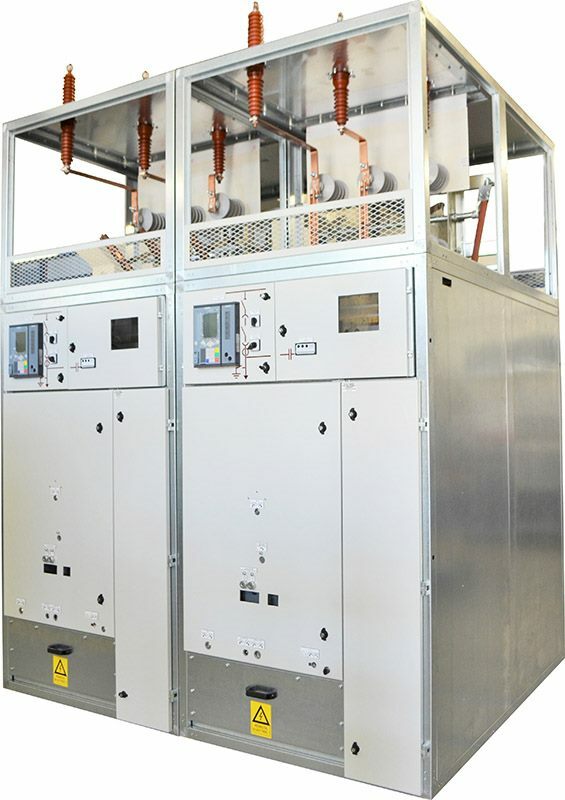 The main uses of the secondary distribution switchgear are in the compact transformation stations and connection points. The power supply has been lately ensured increasingly by means of compact trafo stations, solutions that offer advantages from the point of view of customizing and module creating the investments, but also a way to shorten the time to finalize the investment. Compliant with the technical standards of nationwide power distribution companies such as CEZ Group, E.ON Group, Electrica Group (area distribution operators).